Design a city within project guidelines and apply your knowledge of sustainable living. This project asks students to learn about urban design through their project while applying the knowledge to an unknown city. 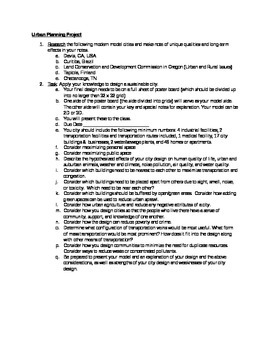 The handout describes the requirements and task at hand for this project. This was written for APES, but could easily be modified for a human geography or Environmental Science course.